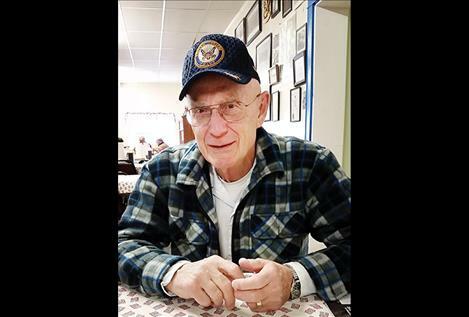 KANSAS CITY, MISSOURI — The Veterans of Foreign Wars of the U.S. is pleased to announce Ronald Merwin has achieved All-American status as a Post commander. Merwin, commander of Post 5652 in Ronan, is one of only 198 VFW Post commanders worldwide to earn the title of All-American Commander. To achieve this honor, Post commanders must meet strict requirements in their role to include exceptional leadership, authentic accomplishment in membership growth and strong support of VFW core programs. Ronan’s Bill Warren Post 5652 is one of only three Montana posts to receive All-American status this year. The Post also earned this distinction last year. Reflecting upon the honor, Commander Merwin said he’d like to acknowledge the great work of Post Quartermaster Dale Morgan. “Without Dale’s hard work and dedication to detail with the records, we would not achieve this distinction,” he said. Merwin added that the All American Post title reflects highly on all of the Post’s members as well as the Post Auxiliary. The Veterans of Foreign Wars of the U.S. is the nations’ largest and oldest major war-veterans organization. 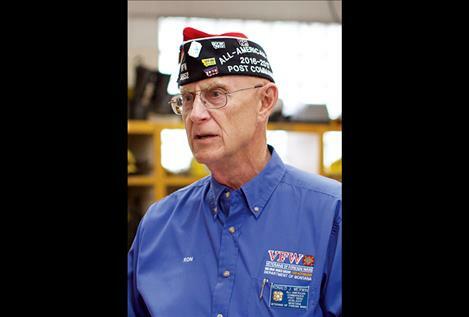 Founded in 1899, the congressionally-chartered VFW is comprised entirely of eligible veterans and military service members from the active, Guard and Reserve forces. With 1.7 million VFW and Auxiliary members located in 6,400 Posts worldwide, the nonprofit veterans service organization is proud to proclaim “No one does more for veterans” than the VFW, which is dedicated to veterans’ service, legislative advocacy, and military and community service programs. For more information or to join, visit our website at www.VFW.org.